As many of you know, I am a busy Mom with both a Toddler and a Newborn. So, I don't have much, if any, time to spend on my hair. As it is, I am washing every 3-4 days and just to cut down on my morning get ready time. So, I am always interested to try out any product claiming to save me time. My biggest chunk of time when getting ready? Yes, drying my long and thick unruly hair. Enter Coolway True Smooth! Coolway True Smooth promises to deliver frizz-free hair (that lasts for days), color maintenance, silky hair with no greasy feel, reduction of breakage (up to 75%), reduce dry time by half, and reduce your styling products (Coolway True Smooth can replace them all). So, did I find these claims to be true? Please keep reading to find out and to see before/after pictures of my experience with this product! To test out this product, I used it just as suggested on the bottle. After washing and towel drying my hair, I sprayed about 30 squirts of the product in my hair distributing it throughout roots to tips. Then I combed through and blow dried my hair. I used no other products. I used the same styling tools that I usually use: a dryer, a paddle brush (to use during drying), a big round brush (to finish and smooth at end of drying), and a small round brush (for my bangs). I really like the super fine mist that pumps out! It allows for a very light, yet complete, distribution of product. The product does not feel greasy at all! It has an amazing beachy scent that seems to linger for a bit. 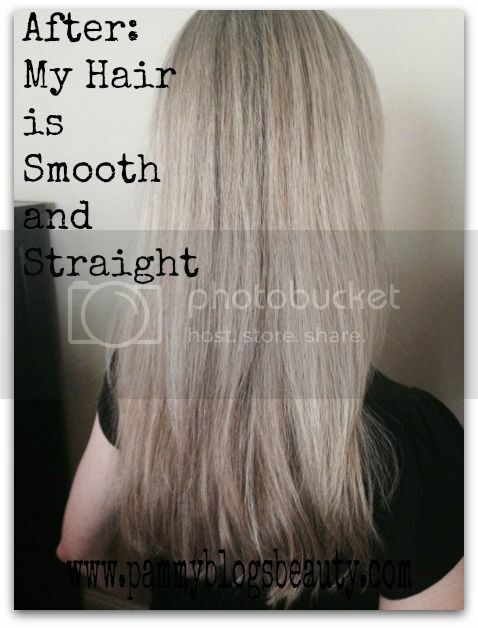 Smooths hair without feeling greasy nor heavy: This is a huge plus! Overall, I am pleased with the results. 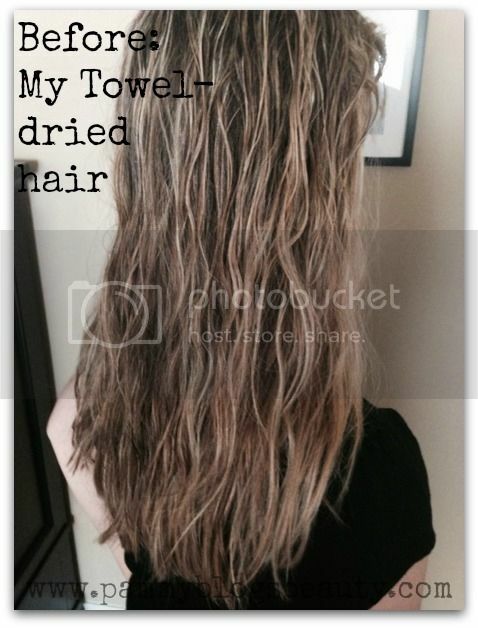 I am happy that dry time seemed dimished by a few minutes, my hair was smoothed, the style held, and my hair seemed to have a bit more volume than my usual round of products. My hair is quite dry and damaged. I did feel that my hair was lacking a bit in shine after using this product. So, I now use it with a shine serum after to give my hair the ultra shiny look that I like. If your hair is not dry/damaged like mine, you might not need a shine serum after like I do. 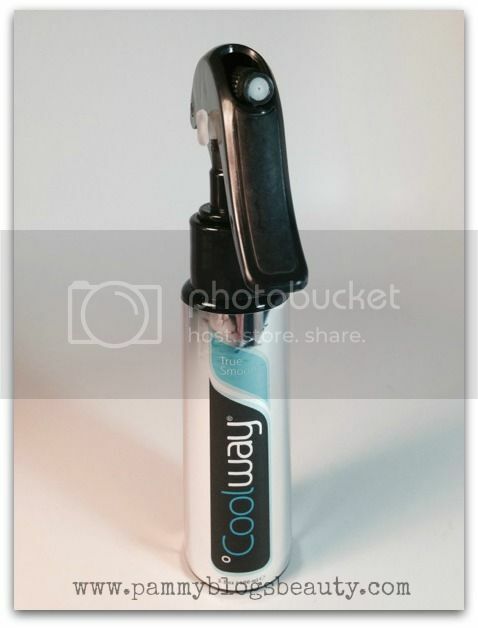 Use code BeautyStat14 to receive a 10% discount on all °Coolway purchases at getcoolway.com (not including shipping revenue and taxes). This item was provided for review courtesy of BeautyStat.com. This product was sent to my from beautystat.com for review purposes. All thoughts and opinions are my own.